And it is its diamond anniversary ,yes 75 years had passed since 1932 when the first 5 aircrafts Egypt had bought in September 1931 took off from Hatfield airfield north of London to make their journey to their new home in Egypt to form the first nucleus of the first Egyptian Arabic and Muslim state Air forces in history. Back to the original story how did the Egyptian Air Forces come to the light ?? 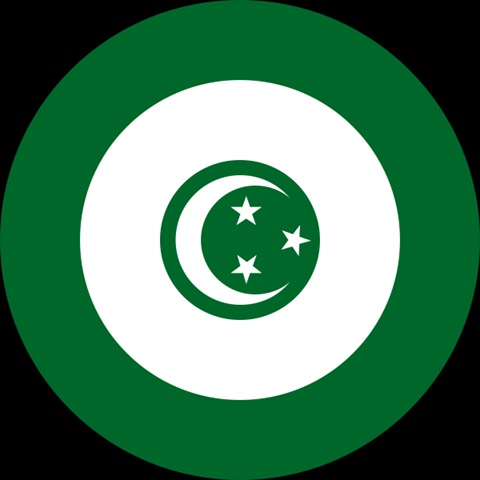 It did not start in 1932 actually but in year 1928 in the time of ministry of either Abd El-Khalek Tharwat Pasha or Mustafa El-Nahhas Pasha or Mohamed Mahmoud Pasha "It was one hell of year for ministries !!" , someone smart purposed the idea of creating Air forces in the Egyptian army , I could not know who he was but surely he was a patriot man with a great future vision and that's why I am guessing that proposal was in the time of El-Nahhas Pasha ministry but I am not sure again , the Parliament loved the idea and decided to adopt it ,King Fouad also approved it and he had too first of all it would raise his popularity in Egyptian street and it is not bad thing to have a modern army . Back at that time where Egypt relied mostly on the British Experience , Yes we took an independence in 1922 yet it was not a complete one and I think The British did not like the idea but they could not say no as long as the parliament ,the King and the people liked the idea , of course before knowing history I would say they proposed that they would train our future pilots and that we should buy British aircrafts only whether from British factories or second British army aircrafts and that's what actually happened after all Egypt was not in place for bargaining to get better offers and surely back then the multi arming resources idea was not clear . Anyway in 1928 the ministry of war in Egypt "That was its name till the 1970s when it became the ministry of defense" announced in the army that it needed volunteers to the new arm and from those volunteers that would only choose four according to strict medical tests and technical examinations. 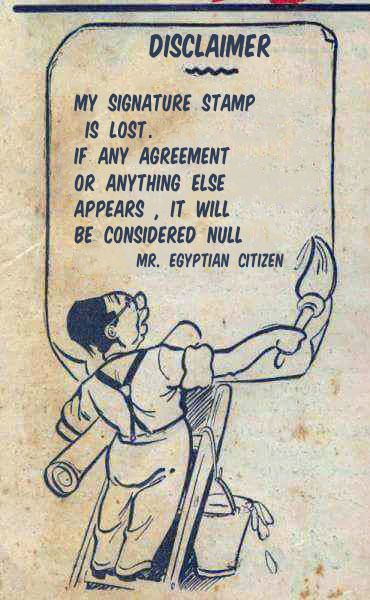 You would not believe the number of applicants who volunteered for the test : 200 officers , I know you may say that is nothing , but remember we are talking here in 1928 ,the Egyptian army was not that big like now and you must bear in mind that was a brand new thing , a dangerous new thing : Flying , in fact it is not only flying it is defending the skies of your country and risking your life , it is so impressive to know that number had applied because it shows how the Egyptian officers were full of enthusiasm for the new arm. 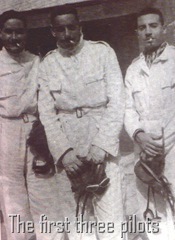 Those three pilots sorry future pilots were sent to be trained with the British Air forces aka RAF.They were sent to the the RAF number 4 flying training school at Abu Suwayer near the Suez Canal in Egypt where they were trained on various types of aircrafts from small ones to big ones . After the graduation from the flying training school the 3 pilots traveled to England for specialized training. On the second of November 1930 the historical Royal decree was issued by King Fouad I to create the Egyptian Air forces . Its name then was the Egyptian Army air forces "EAAF". In September 1931 the British De Havilland aircraft company won a contract to supply Egypt with 10 DH-60 tiger moth trainers. 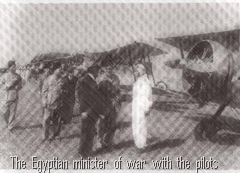 The British government then wanted to ship the aircrafts to Alexandria yet the Egyptian government refused and due to that refusal the British gave an order to the ship which was carrying the aircrafts to return to England where the first 5 aircrafts would be assembled and flown by the first Egyptian pilots to Cairo. And so on 23 May 1932 five of the 10 Egyptian moths took off from Hatfield air field north of London. Three from those five moths were flown by the first 3 Egyptian pilots : Miquati,Abd El-Raziq and Abd El-Hamid where as the rest 2 moths were flown by two British pilots. 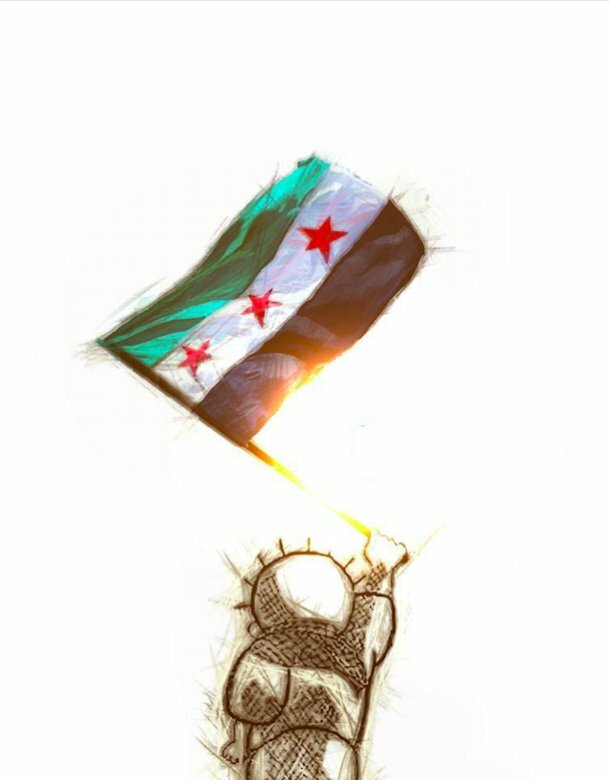 On that before the departure to Cairo the Egyptian Ambassador met with the three pilots along with the Egyptian minister of War and other generals from the Egyptian army who came to encourage and congratulate them, of course I can imagine how it felt then , honor and glory ,hope and fear . 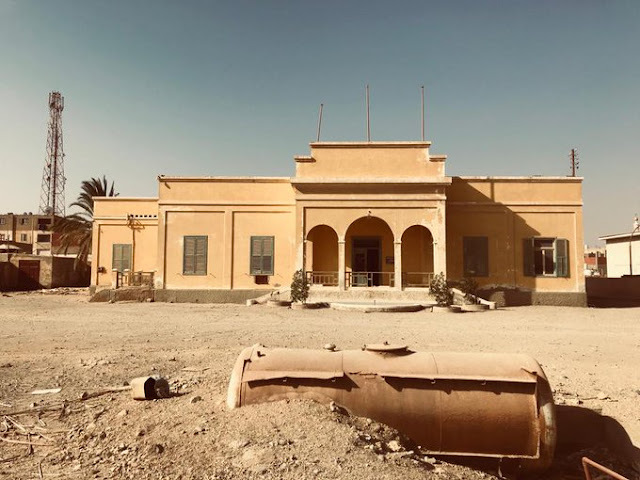 It was not an easy or short trip back then for sure and it would take a long time than you think because on 2 June these 5 aircraft arrived at Al-mazah airport northeast of Cairo , the Al-Mazah Airport was built by Count László Almásy and was named after him and it exists till now. Anyhow on 2nd of June 1932 the Egyptian pilots made to Cairo safely where they received by a huge reception attended by King Fouad and large audience of Egyptians who greeted the return of those three heroes and witnessed the historical moment that would remark the actual birth of the Egyptian Air forces . The first commander of the EAAF was squadron leader Victor Herbert Tait who was a Canadian, he started his work by choosing his staff, building airbases and selecting weapons himself .The role of EAAF then was to fight drug trafficking beside beside aerial photographing. Already those 10 aircrafts we bought in 1932 were not real military aircrafts , the first military aircrafts Egypt had got were the 10 Avro 626 aircrafts the British Government agreed that we would buy them from Avro in 1934, after that Egypt bought from that specific kind another 17 planes and so we had had back 27 Avro 626 planes and they served in the EAF from year 1934 till 1944 and that was a decade of course we bought another aircrafts after that Hawker Audaxes for army cooperation and close support and Avro Ansons for VIP work. 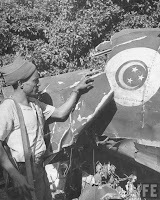 As you see during that time we did not have any experience in warfare , there was no war we could test our REAF , the first opportunity to both gain experience and test our pilots and fighters despite their modest capabilities was in WWII , as you know Egypt was threatened by the Italian and German invasion and advance its western desert and despite the Egyptian ministries than of not involving in the war and the German official statement that Egypt was considered a country under circumstances from the treaty of 1936 and the fact that the British used Egypt as the last castle in north Africa to stop the Nazi advance made ,the Egyptian army and the REAF had their share in the fight ,during that time the RAF built more bases in Egypt and as I said according to the 1936 the British had the right to use the military facilities . Sometimes the REAF joined the RAF in their war against the Nazis and Sometimes they followed the neutrality policy , it was more about the political decision back then of the ministry or the cabinet that existed in the office , we had several cabinet ,we had about 5 ministries I think following different parties with different views about the war whether we would participate in it actually or not ,in the end we had to engage in it and despite the Egyptian sympathy for the Nazis which was based for that hate to the British and the rosy promises for freedom of independence by the Nazis from the Arabic Berlin radio station ,the British made a destructive plan if Erwin Rommel had advanced and captured Alexandria including simply flooding the Nile delta to make it impossible for the German tanks to advance to Cairo in other words they would not give a damn for the Egyptians and thus in the end fighting with them was the best option we had. The good thing we had the opportunities to put our hands on more fighting aircrafts , to defend our land against German and Italian air raids where we scored one air kill against German Henkil He-III bomber, the REAF provided long-range patrols over the Red Sea to monitor the Axes sea movements there by the request of the British. When the WWII ended we had another opportunity to buy more aircrafts from the second cheap aircrafts that fought in the war , yes I know it is silly but we could do !!?? The war of 1948 came and the first real test the REAF had to face came at last , the whole Egyptian army including the REAF was not ready for that war from training and preparations , we should not forget the British did not let us have a powerful strong army nor new arms and they supported the Israeli side more than us , the REAF tried as much as it could just like the rest of the EAF , its first mission was to provide cover and protection for the navy and arm forces, of course we had several unserviceable and obsolete aircrafts yet we fought with honor and believed it or not we scored some victory ,in fact they were two against the IAF "already it was not formed yet" on 8th of June and 9th of July 1948 , one of the pilots who scored those victories was Miquati , yes Abd El-Minium Miquati who was among the 3 first Egyptian pilots ever "May bless his soul" ,through my reading in Israeli sources I realized the REAF was not fighting weakly as I thought because in Israel the priority number one after 1948 was to build a powerful air forces to answer back the REAF . After 1952 the revolution had a principle among the six principles that was to establish a powerful army and for that reason the REAF which became the EAF since 1953 after the announcement of the republic had a major rebooting operation the most dramatic and obvious change was in 1955 when we had a deal for the famous Czech arms and we began to receive the improved Russian fighters. I do not need to speak about 1956 ,1967 and the huge 1973 , despite I found out very interesting information about the Air forces in 1967 , I know it was considered the biggest fiasco of all times for the EAF but I think the fiasco was not the mistake of the pilots more than their commandership , just like the rest of the Egyptian Arm forces , the wrong man in the wrong place , let's keep in another time same thing for 1973 and I think I spoke last year about 1956 well enough. 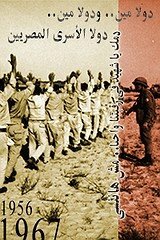 History of EAF "I copy and pasted most of it here :) "
It is imporatnt to emphathise that the combined Arab forces were 40,000 against 100,000 men Israeli men!! Also most of the Israelians faught in world war 2 by the Russians and British . While the Egyptian army, o the other hand,was more of police force in terms of equipment and training. 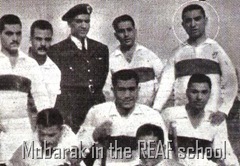 Yet, against all odds, Egyptian held ground and defeated Israel in the first round. regading the air force our aircrafts bombed Tel Aviv, however they were intercepted by the British air force by the canal which shot down the Egyptian planes that raided Tel-Aviv. vraiment très intéressant. LA séquence vidéo avec les premiers avions égyptiens est une vraie rarité.